For a strictly limited time you can purchase 2 packages at once for a further price reduction. Do you want to have a regular massage but also save money? Then pay in advance!!! If you purchase a package of 4 massages, then you can save around 10% on standard prices. 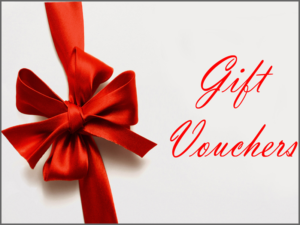 Please note that the massages must be used within 6 months and can be taken as gift vouchers. The massage therapists at Massage Essentials are registered with all the health funds that give refunds for massage. We have a HICAPS and Eftpos machine and accept all major health funds. HICAPS is available for on the spot rebates. Please check with your fund that your policy covers you for Remedial Massage. Please contact your health fund if you are not sure about your coverage or to determine the amount you will be refunded. Not sure what to get for family, friend or a work colleague? Then why not purchase a gift voucher! Vouchers are available for any standard rate or package deal. Great for muscle aches and pains. Top quality packs that stay hotter longer. Other styles available on request. Excellent for muscle aches, arthritis pain and soothing insect bites! 24 hour advance notice is required when cancelling an appointment. This allows the opportunity for someone else to schedule an appointment. If you are unable to give us 24 hours advance notice you will be charged 50% of your appointment fee. If you give less than 3 hours notice you will be charged the full amount of your appointment. This amount must be paid prior to your next scheduled appointment. Anyone who either forgets or consciously chooses to forgo their appointment for whatever reason will be considered a “no-show.” Therefore they will be charged for their “missed” appointment.